System 3 | System 3 reveals Putty Squad’s comeback in new teaser trailer! 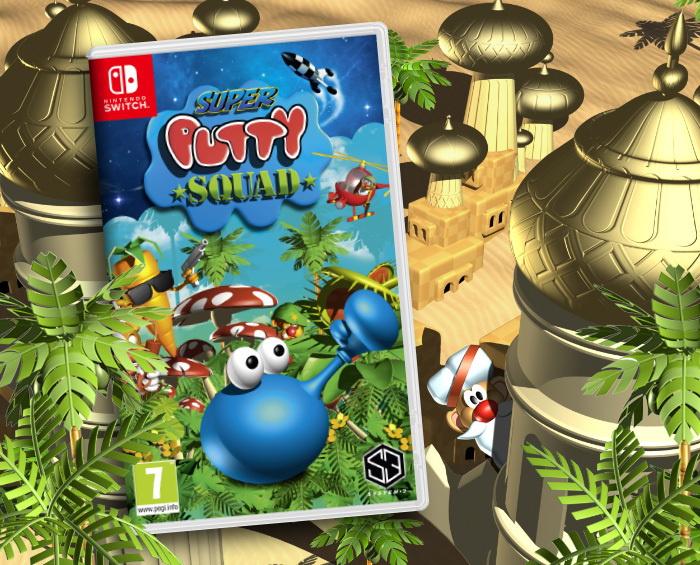 « Back to view allSuper Putty Squad comes to Nintendo Switch! …with Super Putty Squad on Nintendo Switch! Cited by many gaming publications as one of the best games of its time, Putty Squad follows the story of unlikely hero Putty in an old-skool platform-adventuring quest for his kidnapped friends. With reviews such as “this game is fantastic – 94%” (CU Amiga), “quite simply the best – 91%” (Amiga Power) and “just about perfect – 90%” (Amiga Format), there can be no doubting this game’s proven pedigree. System 3 is proud to announce the return of one of gaming’s most loved mascots: Putty! The Nintendo Switch version of the game takes things further than ever before with a complete graphical overhaul. Every background, bitmap, enemy and ally has been redrawn and re-rendered to take advantage of the Switch’s gorgeous display. Super Putty Squad stands out by offering jaw-droppingly beautiful 2D vistas married with tried, tested and improved upon platform-adventure gameplay that has stood the test of time and come out fighting. Super Putty Squad is also the perfect handheld companion, offering up a huge adventure split up into perfect journey-sized chunks. On return to home -base, attach the Switch to your television and marvel at the beautiful rendered graphics full screen! A gorgeous graphical style that combines the original designs of Phillip Thornton with the fidelity and resolution afforded by the SWITCH’s cutting edge display. Every element of the game has been redrawn and re-rendered. 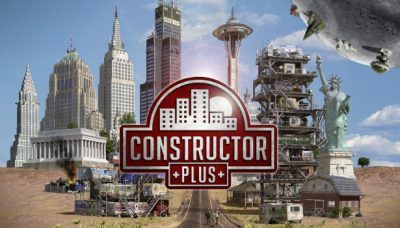 The original team of Mark Cale and John Twiddy have spent months tuning, retuning and fine tuning the gameplay so that not only stands up to the test of time but also sets a benchmark for this style of gamplay. Most of these games are similar to free online slot machine games where you can play the free slots through this letsplayslots.com slotmachine website. Also, unlock new levels using the UNIQUE Sticker Book, you collect ‘stickers’ to help reveal hidden levels. 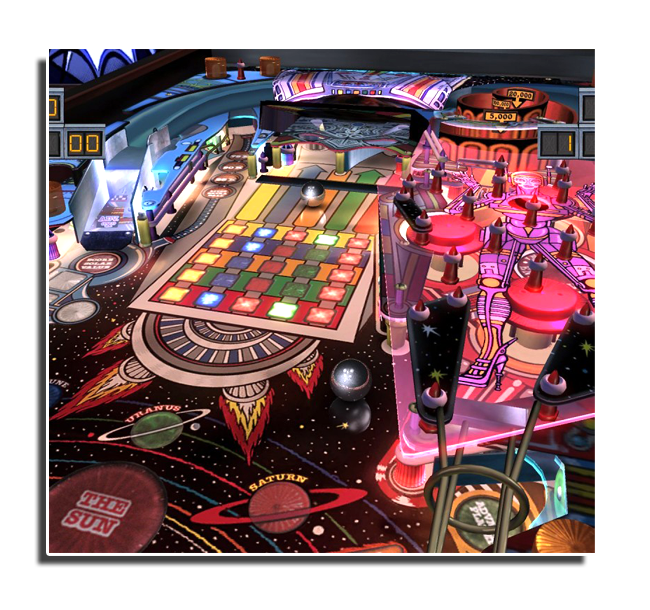 Pinball Arcade: Season 2 on PlayStation®4 recreates the greatest pinball machines of all time, featuring 20 licensed tables from Bally®, Williams®, Stern® and Gottlieb®. Every flipper, bumper, sound effect, and display animation has been painstakingly emulated in astonishing detail! Expandable with regular updates via PSN® to add additional tables as well as Online Tournaments to challenge yourself and compete against your friends! …there can be no doubting this game’s proven pedigree! 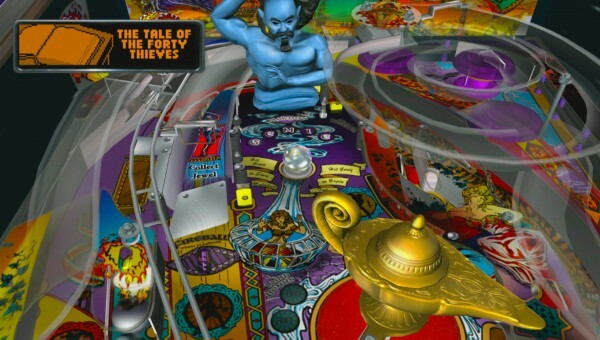 There are 20…Yes, you read that right…20 of the greatest pinball tables ever released, featured in Pinball Arcade: Season 2 on the PS4! Cactus Canyon™ (1998): Take on the role of town Marshall as they try to clean up the town of Cactus Canyon. Along the way, you’re challenged with gun fights, stampedes and saving Miss Polly! 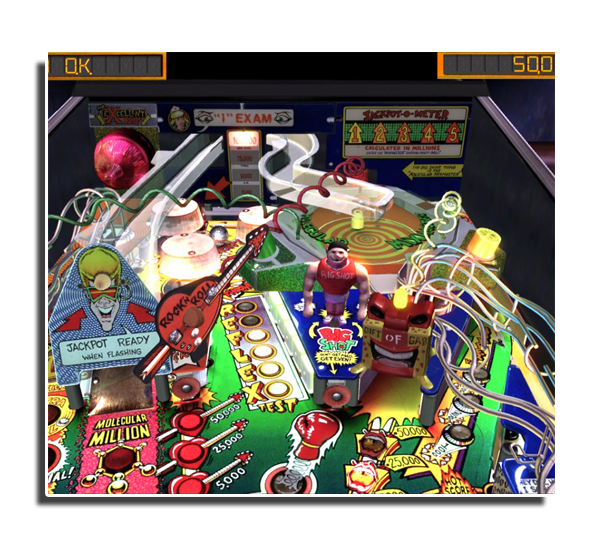 The playfield features a gold mine with a closeable door, a moving train and a bad guy with a hat that pops off his head. The west has never been this wild! Centaur™ (1981): The game features a cool fantasy theme with excellent black and white graphics and great audio effects. 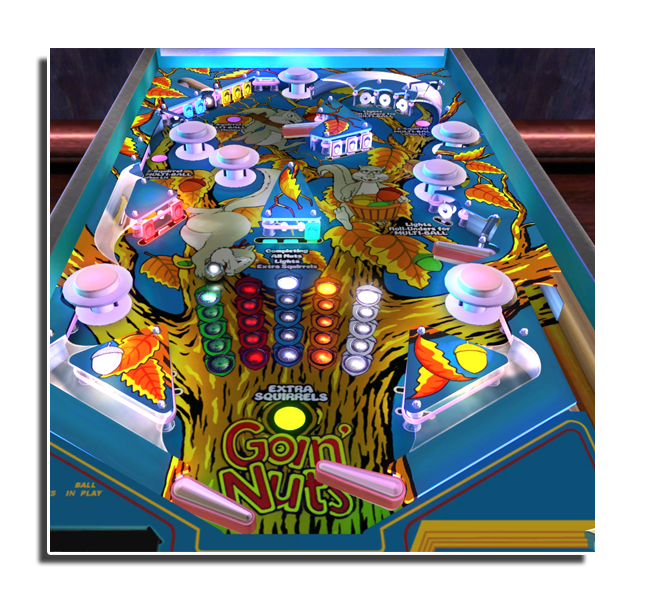 Features unique to Centaur include the blue Guardian Rollovers, which were the first to include Outlane control directed by the flipper buttons and the Equitable Multi-Ball. 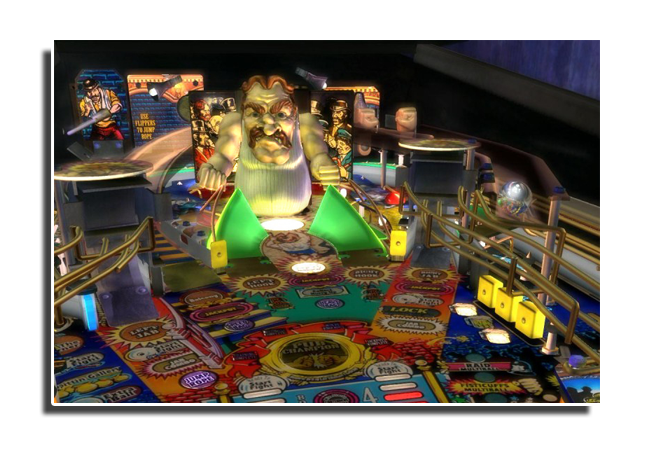 The Champion Pub™(1998): It features a punching bag that rotates 180 degrees to reveal an irate boxer, ready to rumble and you are ready with ramps leading you to body-blow punches and whacking the boxer directly in the face. There’s a mini-playfield where the ball is launched at a speed bag where you can use the flippers as your own plastic fists! Class of 1812™ (1991): This supernatural themed table was designed by Ray Tanzer and Joe Kaminkow. Players are challenged with collecting five unique characters by lighting all of the Bonus Level Lamps. 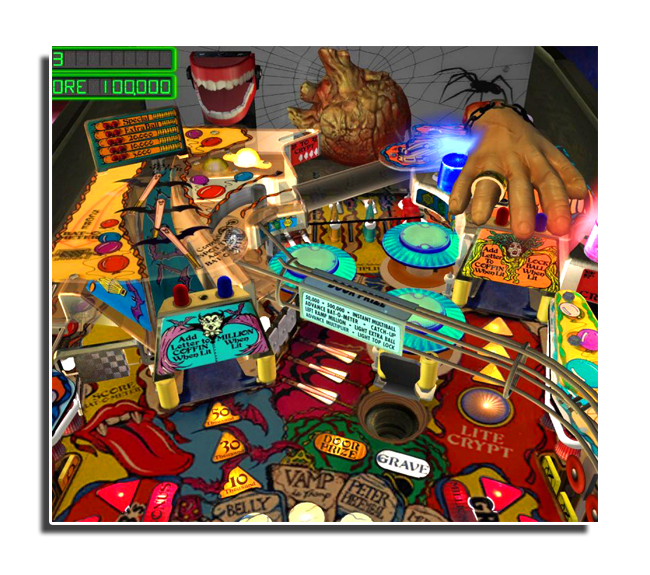 The Playfield features a severed hand and an animated mechanical beating heart and chattering teeth, synchronized to the games music and speech. Cue Ball Wizard™ (1992): This Billiards themed table features gorgeous graphics, outstanding audio and a deep set of rules with many different gameplay modes. 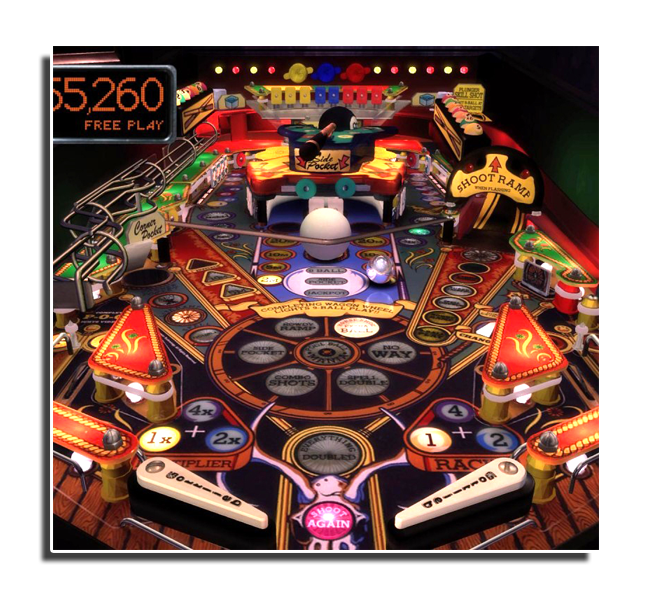 Special features include an oscillating captive ball kicker on the elevated mini-playfield and a full-sized captive cue ball on the lower playfield. Behind the cue ball are two raised targets, which can only be hit by the captive cue ball. Dr. Dude And His Excellent Ray™ (1990): The hotter the players get, the cooler they are when it comes to ultimate Dude-o-sity. 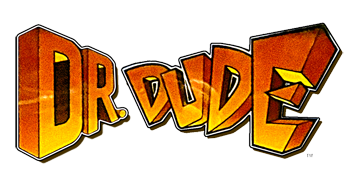 The player’s goal is to raise their Dudeness level from Plain Dude to Super Dude through spectacular gameplay action, innovative scoring features and attention grabbing effects. Notable features include the Excellent Ray, Big Shot, Molecular Mixmaster and a Gazillion point shot where scoring is potentially multiple millions of points! El Dorado City of Gold™ (1984): You may find the gameplay familiar, but not the intricate artwork. 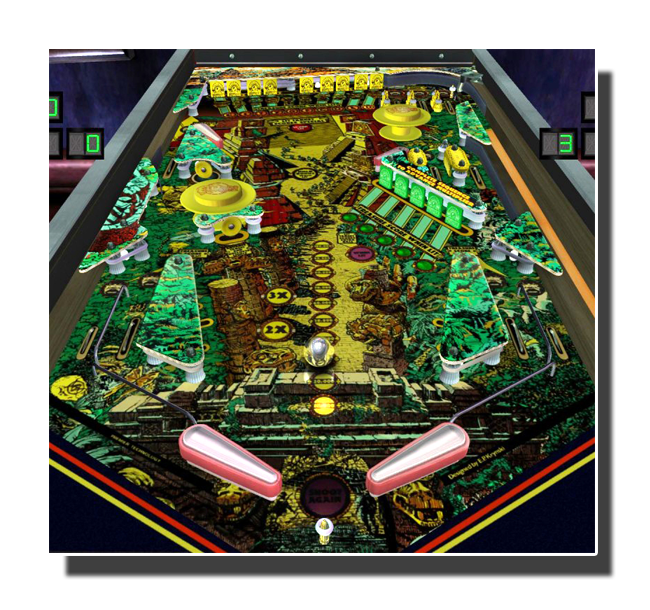 This playfield was shared with its predecessors El Dorado and Gold Strike, re-themed as Target Alpha and Solar City, and licensed into international versions Lucky Strike and Canada Dry. After designing over 200 tables, City of Gold was Ed Krynskis final table for Gottlieb. 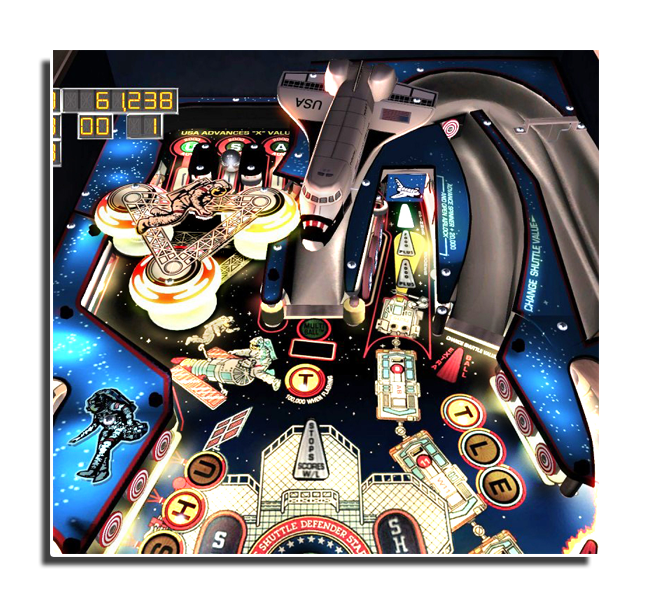 Flight 2000™ (1980): was the winner of our fan poll in early 2013 as the classic Stern™ table YOU most wanted to see in the Pinball Arcade! It was designed by Harry Williams, and was the first talking Stern table. 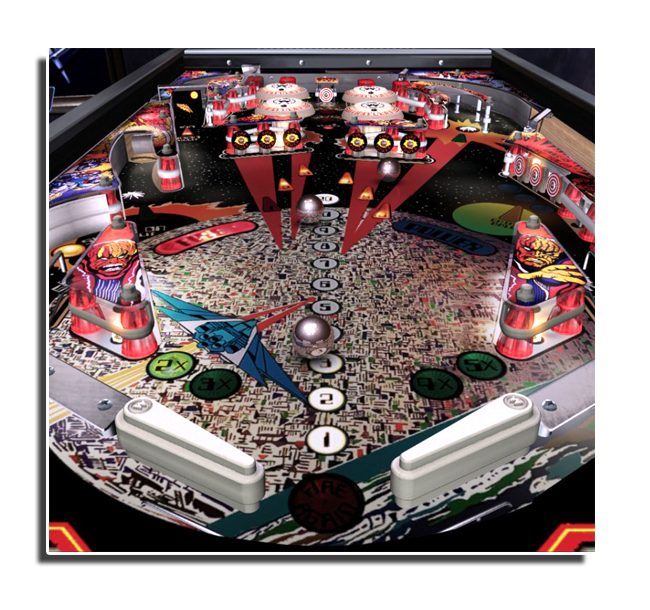 It features a unique 3-Ball Multi-Ball mode, where each ball is launched through three separate lift-off stages. 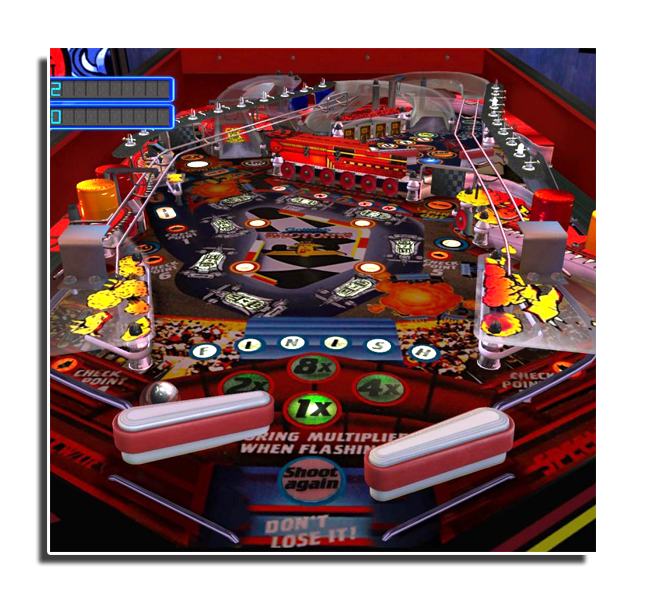 This takes place at the upper left of the playfield inside a maze-like ball lock mechanism. 6,301 units of this table were produced. Tales of the Arabian Nights® (1996): The setting is ancient Baghdad where wishes can be granted in the ultimate battle to rescue the Princess from the clutches of an evil Genie who taunts all foes. There are jewels to be collected and a playfield that will have players spinning Aladdins Lamp, flying on Magic Carpet ramps or visiting the Bazaar for countless awards. With a deep set of rules, beautiful artwork, engaging voice over, and excellent sound effects, this is one of the most popular and highest rated tables of all time. Goin Nuts™ (1983): is one of the rarest pinball tables ever. It never made it into production as new management considered wider tables too expensive to mass produce. 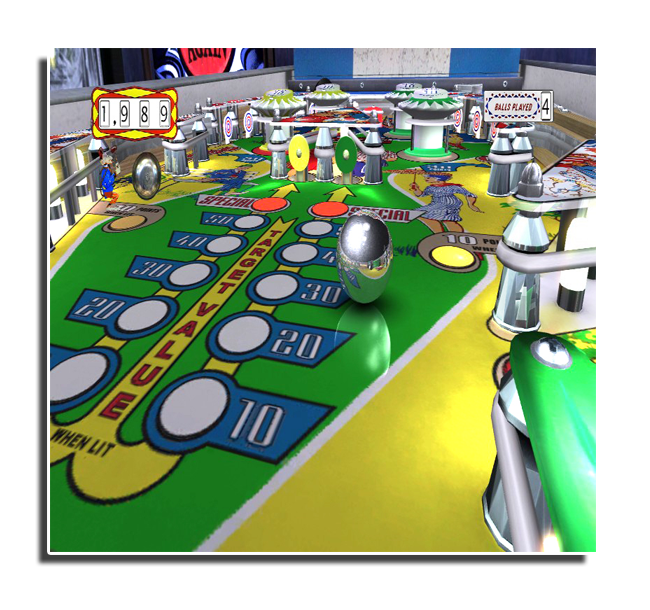 Each turn begins with 3-Ball Multi-Ball and there are no Outlanes. The unique style of timer based gameplay and the rarity of this table make it a classic collectors item today. Only 10 units were made as engineering samples. Haunted House™ (1982): This was the first table to have a triple level playfield that was accessible by one ball. 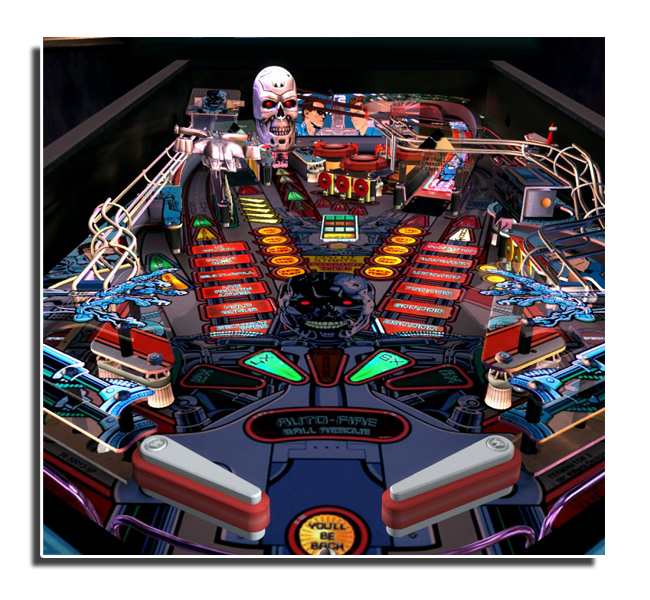 The three playfield levels represent the cellar, main floor and attic of a haunted house. 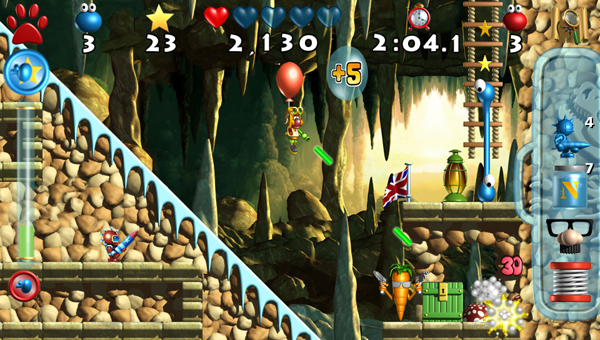 Players use eight flippers to move their ball through the three floors of spooky fun by shooting up and down ramps, tubes and trap doors that lead from one room to the other. Come inside, but please be warned, you’d best not play alone. Pin*Bot™ (1986): Players are challenged with advancing to all nine planets in the Solar System before reaching the Sun. 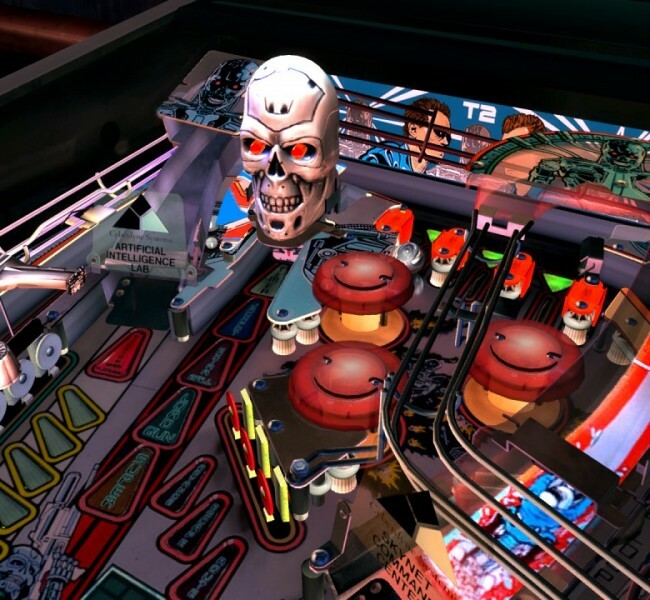 The playfield features a Robot Visor that opens to reveal two Eye Eject Holes, a Skill Shot into the Vortex and the Solar Ramp, which can be raised to hit the target beneath it. With its outstanding lighting effects and audio including robot-like speech, Pin*Bot is truly the Ultimate Machine. Teed Off™ (1993): Designed by Ray Tanzer and Jon Norris, this Gottlieb® table features a humorous golf theme and a mischievous gopher, reminiscent of the movie Caddyshack. 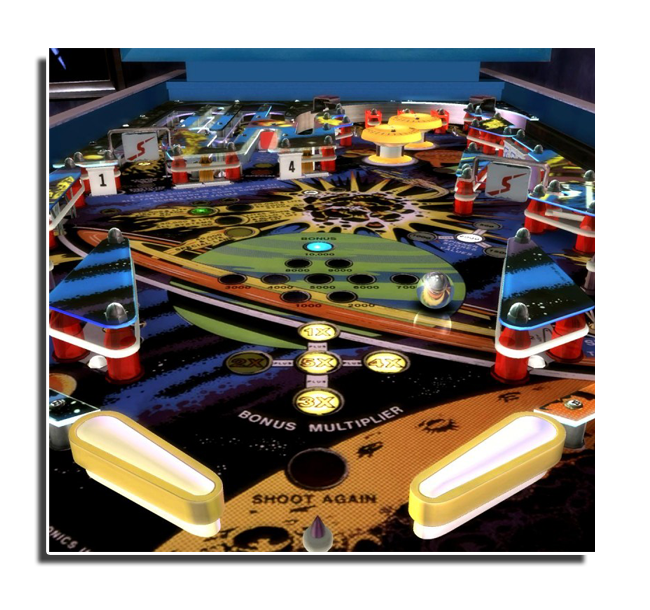 Players are challenged with completing rounds of golf in order to activate high scoring multi-ball modes. 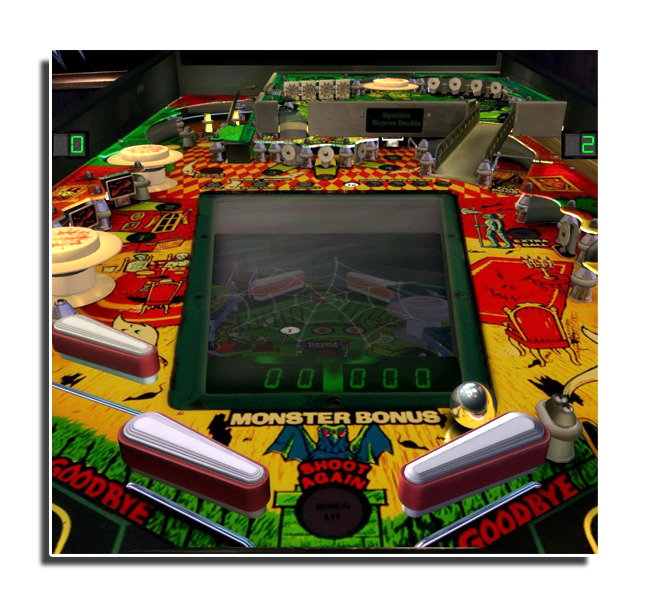 It has an extensive set of rules and great features such as the roulette Gopher Wheel, a Volcano up-kicker on the playfield and the animated gopher named Gunther, who sits on top of the back glass and shrugs his shoulders in sync with audio that taunts the player. 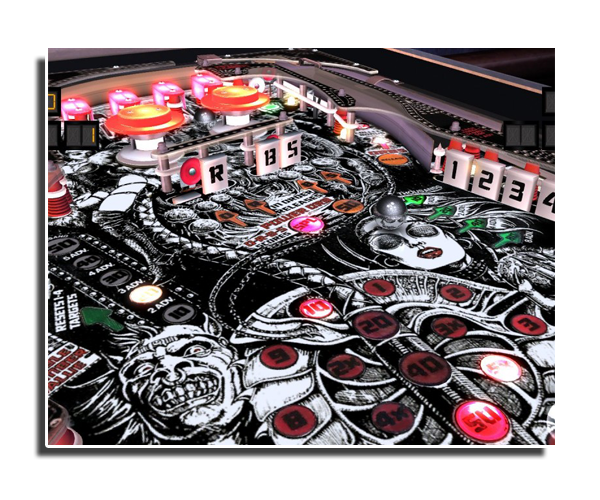 Terminator 2: Judgment Day® (1991): is unquestionably one of the greatest pinball tables of all time. It was the first Williams® table designed to use a Dot Matrix Display and the first to have a Video Mode feature. It was also the first to feature a swing out Cannon that can be fired by the player using a specially designed Gun Grip Ball Launcher. 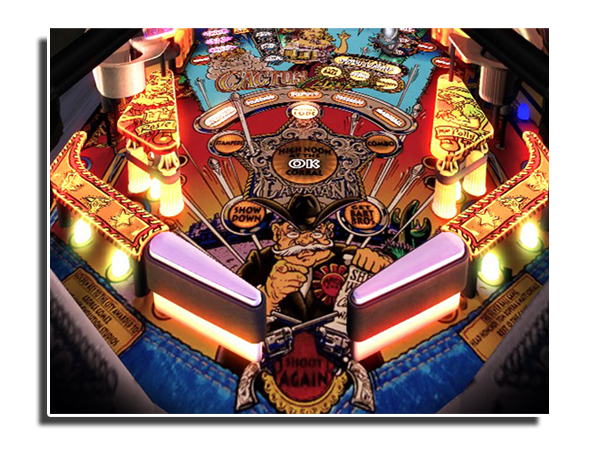 Victory™ (1987): It was the first table to use a fully screened photo realistic Vitrigraph mylar overlay for its playfield rather than the industry standard silkscreen on the wood itself. 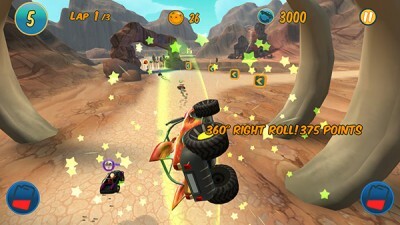 Players are challenged with finishing a race by completing specific shots representing Checkpoints on the track. White Water™ (1993): The game challenges players with navigating down the river to Wet Willies River Ranch by completing flashing hazard shots. This is a fast playing game with many wild, white water rafting themed shots and several Multi-Ball modes. 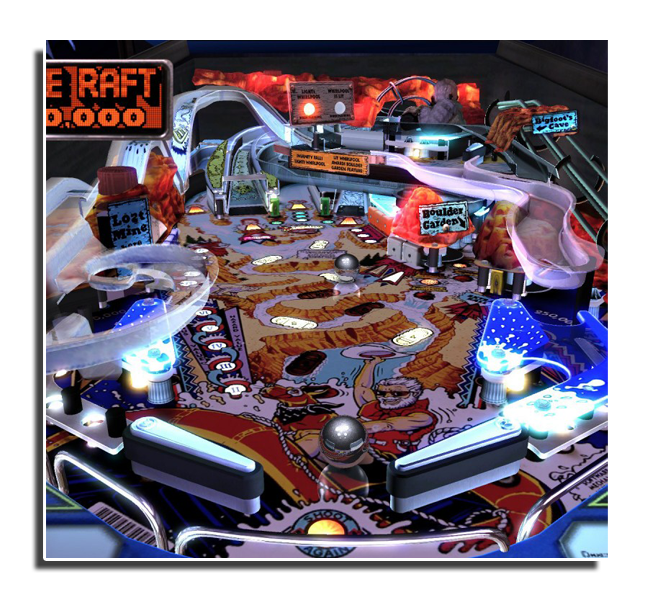 Firepower™ (1980): This outer space themed table won multiple awards including ’Best Producer’, ’Best Special Effects’ and ’Best Performance’. 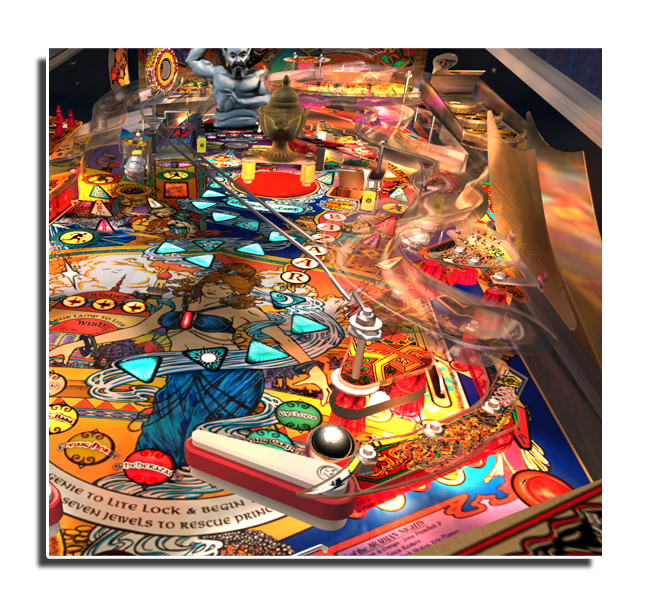 It was the first solid state table to feature Multi-Ball™ and included many industry first features that would go on to become pinball standards. These include the first animated displays, first electronic Multi-Ball and the first use of a player controlled, Lane Change™. 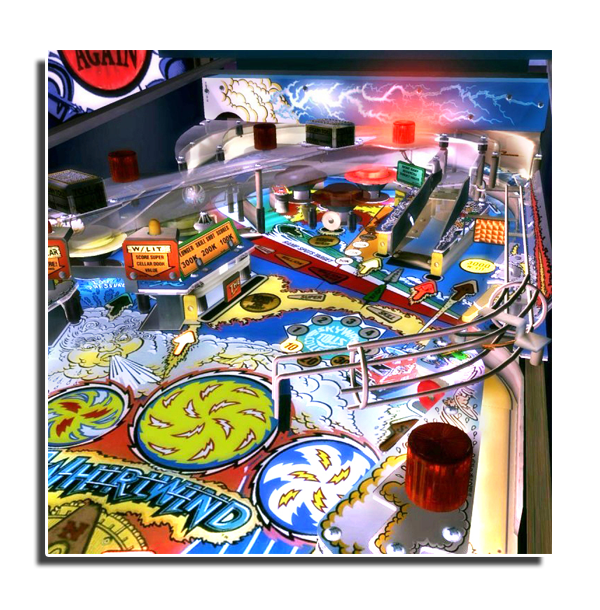 Whirlwind™ (1990): This Williams machine, a Pat Lawlor table, the designer of such classics as the Addams Family and Twilight Zone, delivered yet another great pinball table. You are engulfed in a storm chasers fantasy. Central Park™ (1966): Considered one of the best playing classical tables, Central Park featured a comical back glass animation of a monkey ringing a bell every 100 points scored. 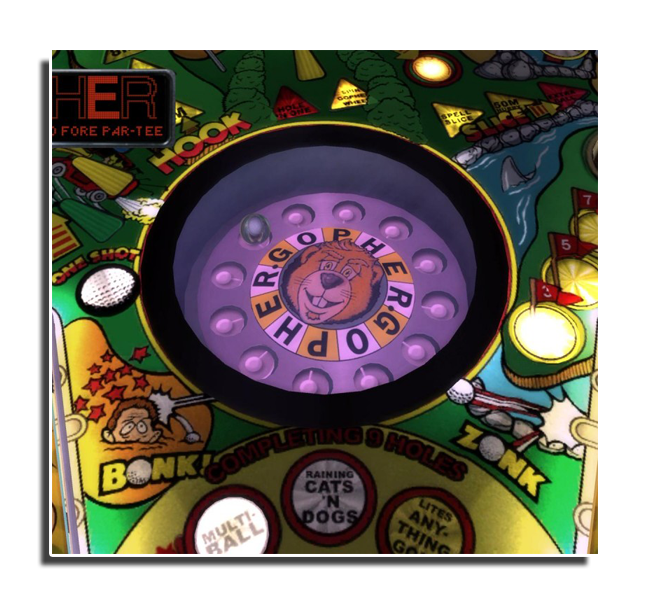 Pinball hall of famers consider mastering table nudging and target shooting on this table to be essential to proving one’s expertise at playing classic tables. Space Shuttle™ (1984): It features a fantastic space exploration theme and was the first Williams game to feature a playfield toy with its replica of NASAs Space Shuttle. With its great features and out-of-this-world play action excitement, this game is a once-in-a-millennium masterpiece! 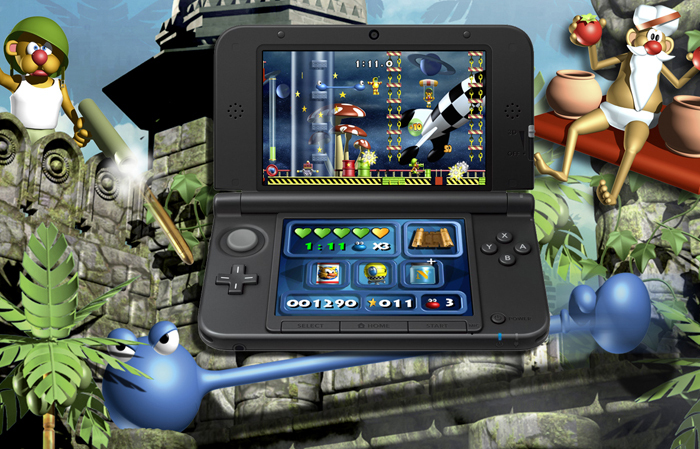 « Back to view allPutty Squad for 3DS hits the Nintendo e-shop! Don’t worry – we have the Vita stock in the warehouse and are shipping it out to the various stores. It should be available in all stores by 16th May. Stocks in the UK are being received on 24/4/14 and therefore it will be in the shops shortly thereafter. Thanks. 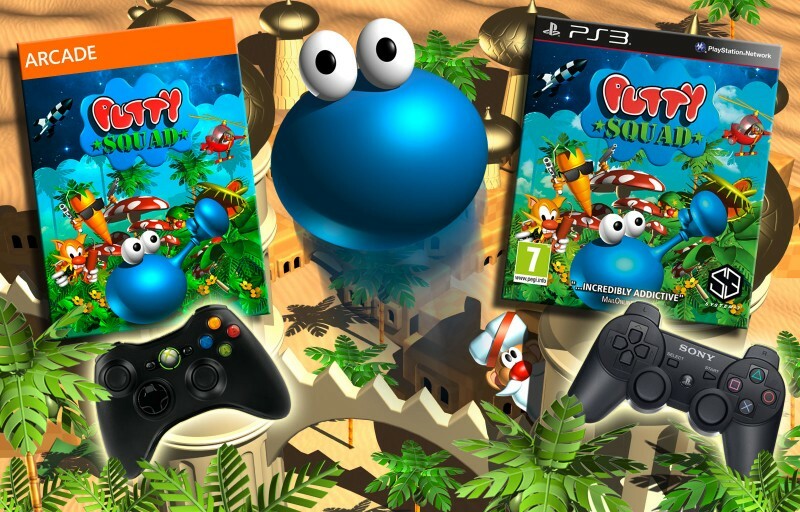 Putty available now on PSN for PlayStation Vita and PlayStation 4! « Back to view allPutty Squad hits Xbox Live Arcade & PlayStation3! « Back to view allPutty Squad is Back! Fancy a sneak preview of Putty in action? Of course you do! The stretchy blue blob is all set to go digital in VITA Vision by way of the critically acclaimed Putty Squad videogame. Cited by many gaming publications as one of the best games of its time, Putty Squad follows the story of unlikely hero Putty in an old-skool platform-adventuring quest for his kidnapped friends. With reviews such as “this game is fantastic – 94%” (CU Amiga), “quite simply the best – 91%” (Amiga Power) and “just about perfect – 90%” (Amiga Format), there can be no doubting this game’s proven pedigree. The return of the game marks the beginning of a revival of System 3’s classic IPs to tie in with the company’s 30-year anniversary in 2012. The very same year also marks Putty’s 20th birthday, with his first Amiga outing setting screens alight in 1992. 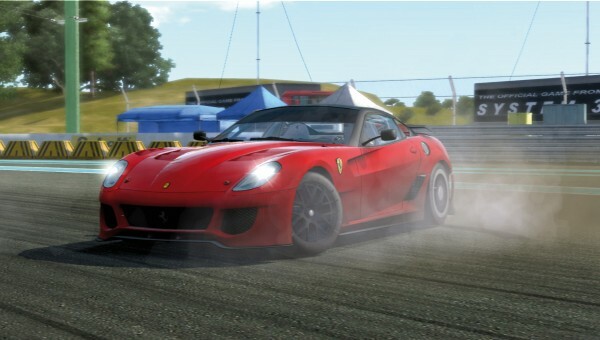 The VITA version of the game takes things further than ever before with a complete graphical overhaul. Every background, bitmap, enemy and ally has been redrawn and re-rendered to take advantage of the VITA’s gorgeous display. 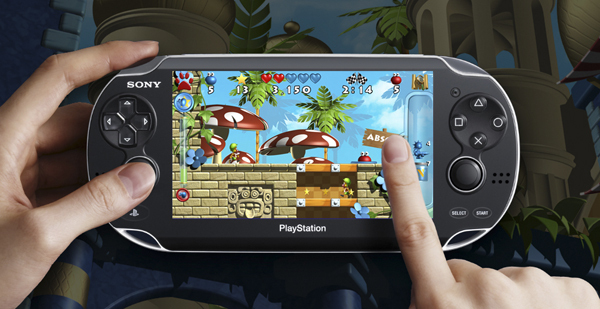 On top of that Putty Squad will also take advantage of several of the VITA’s unique capabilities such as front and rear touch-screen controls and location-based unlockables! While the VITA is set to enjoy cutting edge 3D adventures in its launch window, Putty Squad stands out by offering jaw-droppingly beautiful 2D vistas married with tried, tested and improved upon platform-adventure gameplay that has stood the test of time and come out fighting. Putty Squad is also the perfect handheld companion, offering up a huge adventure split up into perfect journey-sized chunks. A gorgeous graphical style that combines the original designs of Phillip Thornton with the fidelity and resolution afforded by the VITA’s cutting edge display. Every element of the game has been redrawn and re-rendered. The VITA version will also allow gamers access to a whole host of secret levels, which were previously not available. 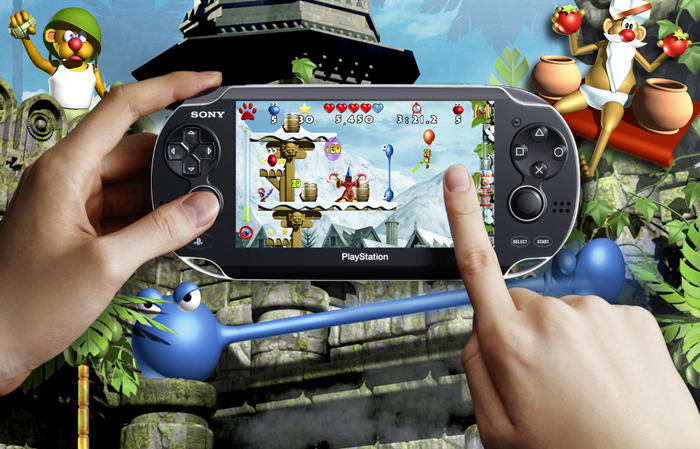 Gamers will be rewarded for their VITA support with nearly double the amount of levels. A number of these exclusive levels will only be unlocked as part of the VITA’s location-based services. These new levels will be released every 2 weeks, online through first party stores and sites. 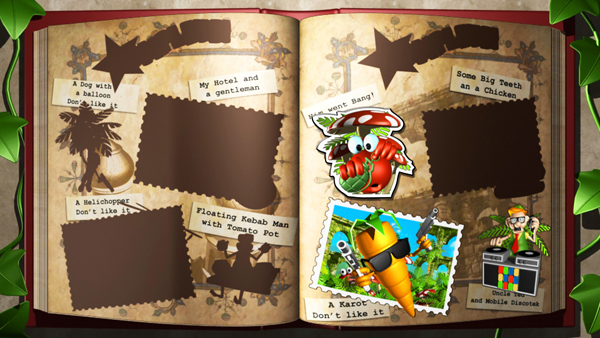 Also, unlock new levels using the UNIQUE Sticker Book, you collect ‘stickers’ from hidden levels. 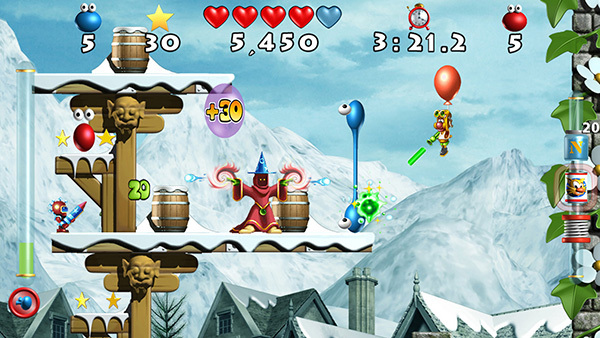 Some levels and Avatars will only unlock and become available when the player takes their VITA to a specific location. For example, going to a football stadium will unlock a correctly attired Avatar, visiting the natural History Museum will unlock an ancient Inca level or visiting the Science Museum will unlock an outer space level (specific locations and rewards tbc). Rather than go crazy with touch-screen controls System 3 has chosen to map the actions that make for the best and most natural gameplay experience. 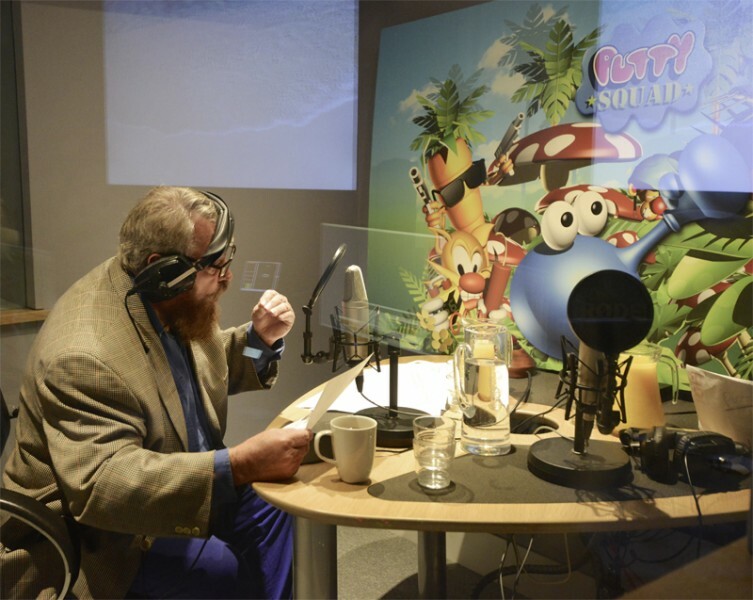 The rear touch-pad will be used for various actions in the game, such as inflating/floating. Gamers will also be able to quickly zoom into the action for difficult jumps and even just to appreciate the detailed graphics even more. This can easily be done with a flick of a finger to or fro on the front touch pad. Along with the redrawn world comes brand new artwork, which has never been seen before. This brand new artwork, designed by original designer Phillip Thornton, can be seen in various places including as intros to each level. 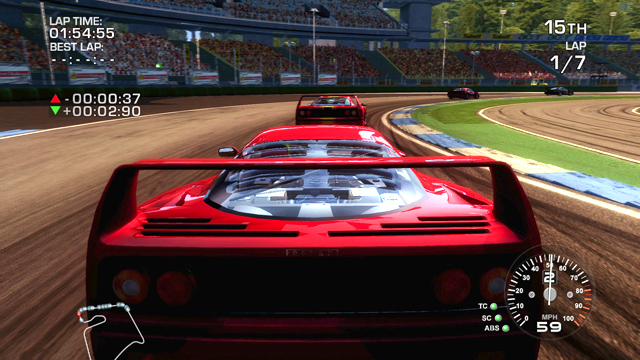 Multiplayer game-share options that allow up to four people to compete in tournaments, either versus or in Team Play. Only one person needs a copy of the game in order for their friends to be able to experience Putty Squad, albeit in a limited fashion. When the link is severed the other players will no longer be able to play the game but they will immediately be given the option to buy it from PSN (exact details of game sharing tbc). Dozens of Avatars will be made available, both via PSN and via location-based service downloads. Easy, constant access to online leaderboards. 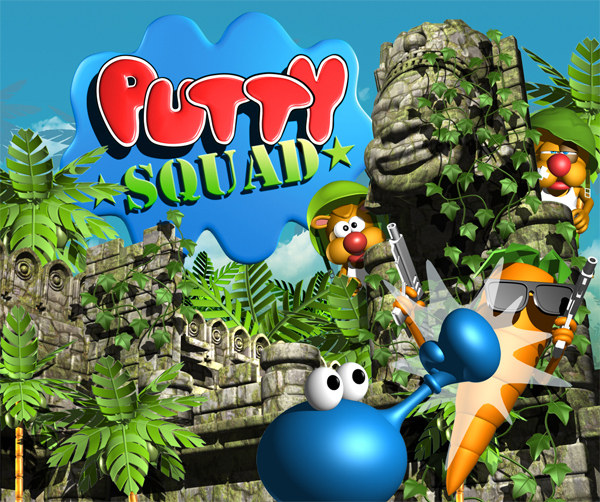 System 3 is delighted to reveal the launch trailer for the return of Putty Squad which will be available on PS4 as a day one release on November 29th, 2013. Looming forward to the putty squad release. Glad to see people reusing retro ideas and producing nextgen quality and utilizing the hardware to give the retro games the depth in with the developers had hoped the finished game would be like. 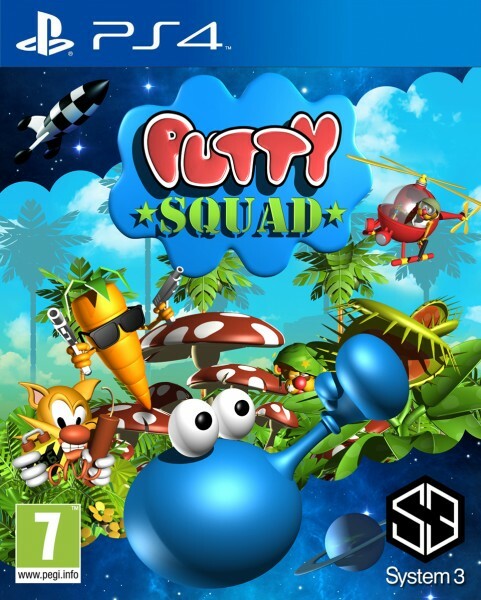 Putty squad was definitely an idea in the wrong gaming era, let hope it achieves the hype and expectation!! « Back to view allSystem 3 reveals Putty Squad’s comeback in new teaser trailer!